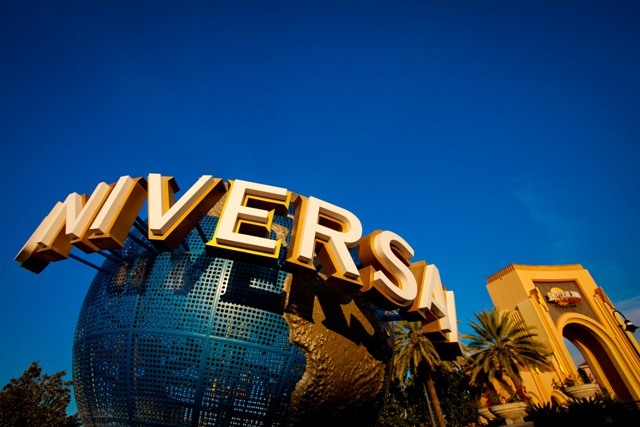 Security measures toughened at Orlando theme parks. For years, Orlando’s fun areas seemed to be immune to TSA security measures, but this holiday season, expect to wait on one more line before getting into your favorite theme parks. Universal Orlando Resort and SeaWorld have both upped their security procedures, using wand detectors at their entertainment areas, and Disney World has installed walk-through metal detectors their four parks. Universal also installed metal detectors this year at their extreme rides’ queues, so customers do not bring specific items on rides. Find out even more security measures being taken at Orlando theme parks, including a change in costume allowances during Halloween events, in Walt Disney World, SeaWorld, Universal begin using metal detectors at theme parks. Star Wars’ “Galaxy Far, Far Away” is located…where? Star Wars fanatics will be soon using the force to book a flight to Ireland. As fans who were lucky enough to have already seen the highly anticipated Star Wars: The Force Awakens know, one of the final scenes was filmed on Ireland Skellig Michael Island, a UNESCO World Heritage Site. In 2014 director JJ Abrams took his cast and crew on a stealth trip not to a galaxy far far away, but to the tiny village of Portmagee in County Kerry on Ireland’s Wild Atlantic Way, where they told locals they were there to film a “documentary.” Then they took an eight mile trip across the sea to the idylic Skellig Michael with its rocky coastline and ancient stone paths that once housed a 6th century Christian monastery. Today its only residents are seagulls living near the abandoned huts. Where are Americans traveling in 2016? Travelex conducted a survey about American travel plans in 2016 and discovered two-thirds of Americans are not planning to travel aboard next year. But those who do, where do they plan to go? And what type of travel are they looking to enjoy? Travelex breaks it down by age group, regions of origin, gender, and more. The survey also explores what travelers are willing to cut back on at home in order to have more money on their vacation (really, Northeast region? You’re willing to sacrifice coffee!) and just what they might spend that money on while away. No matter what age group or region of origin, people are looking to unwind with the first or second reason for travel always “relax and rejuvenate.” (The other popular reason is culture.) Men are more likely to spend their money on food while women are more likely to spend their money on visiting historical landmarks. And just who uses traveler’s checks? Find out in Where Americans Plan to Go 2016. If you’ve flew through Newark and thought, “I had a better experience at Tampa or Orlando or anywhere in the country,” you would be right, according to a survey by J.D. Power. The 2015 North America Airport Satisfaction Study found that Portland International Airport in Oregon, Tampa International Airport in Florida and McCarran International Airport (Vegas) in Nevada offer the best overall experiences for flyers at large airports. Unfortunately for New Yorkers and the surrounding areas, Newark Liberty International Airport and LaGuardia Airport ranked last with John F. Kennedy International Airport coming in seventh from the bottom. Where does your airport rank? Find out in These Are the Airports Americans Love the Most.